For several weekends in early summer, the Kentucky Renaissance Festival. in Eminence, welcomes visitors from around the region. The festival provides wonderful entertainment and shopping experiences, from jousting to buying oils and period clothing. 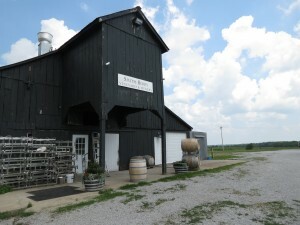 Visiting the Renaissance Festival also provides an opportunity to stop in New Castle to visit Smith-Berry Winery. We stopped by last weekend. The reds at Smith-Berry are superior. We were especially pleased by the release of a Norton Reserve. If you are in the region, I recommend a stop. The Renaissance Festival will be around for two more weekends. There’s something for everyone to enjoy. We’ve been many times and have always enjoyed ourselves. 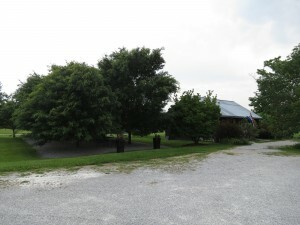 Smith-Berry Winery is open both Saturdays and Sundays. I recommend visiting there to relax and taste some wines on your way home. Hope to see you there. The Georgetown event will be from 5-8, in downtown Georgetown. Georgetown is once again celebrating the flavors of their town. The 6th annual Taste of Georgetown will be held in historic Georgetown, on Thursday, July 27, from 5 until 8 PM. Food vendors will be sharing their offerings with tastes for visitors. Just a few of those with food will be: Evans Orchard, Sam’s, Wholly Smokers, and 3 Pepperhead Hot Sauce. Wine tastings will also be provided by wineries such as, Talon Vineyard and Winery, Rose Hill Vineyard and Winery, and Harkness Edwards Vineyard and Winery, and by Kentucky Eagle Inc., a wine distributor in Lexington. Wine gifts will also be available from York’s Corks, A Very Vine Creation, Heirlooms and Gretchen’s, and Unique Gifts and More. 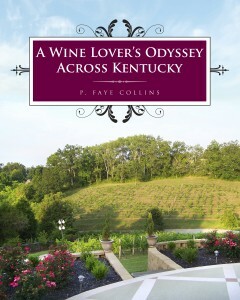 I will be there at a booth signing copies of A Wine Lover’s Odyssey Across Kentucky. This sounds like a great way to spend an evening. Hope to see you there. While at the festival at Jane’s Saddlebag, I had the opportunity to meet the people from Glisson Vineyards and Winery. They came from Paducah to take part. Many visitors were able to taste wines that they are not usuallyable to get in Northern Kentucky. Glisson Winery is still rather small with a lovely tasting room in downtown Paducah, featuring their wines, tapas, and arts. I’m always interested in meeting and hearing about the new wineries, that have opened since I wrote my book. Check out their website(glissonwinery.com). If you are going to be in Western Kentucky, try out Glisson Vineyards and Winery and let me know what you think. Nearly 2000 visitors enjoyed Jane’s Saddlebag’s first wine festival. Kentucky Wineries: StoneBrook Vineyard and Winery, Atwood Hill Vineyard and Winery, Verona Vineyards, McIntyre Winery, Talon Winery, Lovers Leap Vineyard and Winery, Noahs Ark Winery, Glisson Vineyard and Winery, Serendipity Winery, as well as Indiana’s Indian Creek Winery delighted visitors with tastes of their wines. Thirty craft vendor’s were also greeting those in attendance. I enjoyed talking to many of the visitors and sharing wine stories. If you weren’t able to make it this year, look for the date next year. I’m sure you’ll want to be there. For those making plans for next weekend, consider a visit to Union, Kentucky. Just a couple of miles past Big Bone Park, Jane’s Saddlebag will be hosting a wine festival featuring many of Kentucky’s wineries and arts and crafts from local vendors. Not only will visitors be able to enjoy the wine, the booths, the food and the entertainment; they will also be contributing to the Children’s Hospital with a portion of the proceeds going to the charity. The festival will be from noon to 6 PM, on June 8. I’ll be there signing A Wine Lover’s Odyssey Across Kentucky. Hope to see you there. Barboursville Vineyard and Winery, years ago, created a blended Bordeaux style wine called Octagon. This wine has won a multitude of awards over the years, has been served to Presidents and Queen Elizabeth II. The most recent vintage received a 90 by Wine Enthusiast. The blend is made up of Cabernet Sauvignon, Cabernet Franc, Merlot and some years Petit Verdot. While many wineries create blends to correct deficiencies in the varietals, Barboursville creates Octagon from the best of the varietals and the result is amazing. A few years ago we purchased two bottles of the 2004 vintage, which sold out quickly because of the quality of the wine. We decided then to cellar a bottle until our 45th anniversary. Last Sunday we opened that bottle. It was definitely worth the wait. After letting the wine breathe, the smooth, elegant flavors and aroma were exceptional. The wine aged well. The complexity of each of the varietals were at their best.